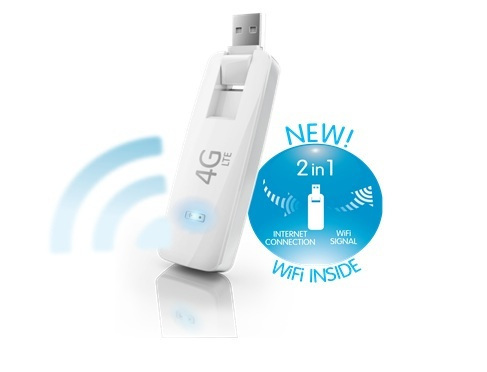 The Telekom Speed Stick LTE IV is based on the Alcatel W800, which we have recently been introduced. The chipset is a Qualcomm MDM9215 modem, which supports DC-HSPA+ and GSM/EDGE/UMTS is also backward. As a LTE category 3 WiFi dongle, Telekom Speed stick LTE IV supports up to 100 Mbit/s downstream and 50 Mbit/s for upload. The working LTE frequency bands at 800, 1800 or 2600 megahertz according to their location used. The full LTE speed cannot be reached, in real network environment, the WLAN module can only reaches around 75 MBit/s for downlink, and uplink for wireless connection probably no more than about 30 Mbit/s are available.